Enzo Pontoni is a uniquely talented man. The red and white wines he crafts out of a tiny, no frills winery that is also his home are of simply mind boggling quality. The soft spoken, humble Pontoni is equally skilled with both international and native varieties. Picking a favorite wine from his star-studded lineup is admittedly a very hard thing for most people to do. Not for me. While I love the two Friulano wines, the Buri and the Filip (reviewed recently in a vertical tasting on Vinous), for a variety of reasons I have always loved Pontoni’s magnificent Ribolla Gialla Pettarin even more. In my opinion, the Pettarin is one of Italy’s greatest white wines. The Miani Ribolla Gialla has carried the Pettarin name since the 2011 vintage in honor of the family that used to own the vineyard. Pontoni was finally able to buy the three-hectare vineyard a few months ago, which is fantastic news for all those who love fine wines because it means that Pontoni will be able to keep making his Ribolla Gialla without losing the source of grapes, as unfortunately happened with the mesmerizingly great Refosco del Peduncolo Rosso from the Calvari vineyard. I do not refer to “the source of the grapes” haphazardly. 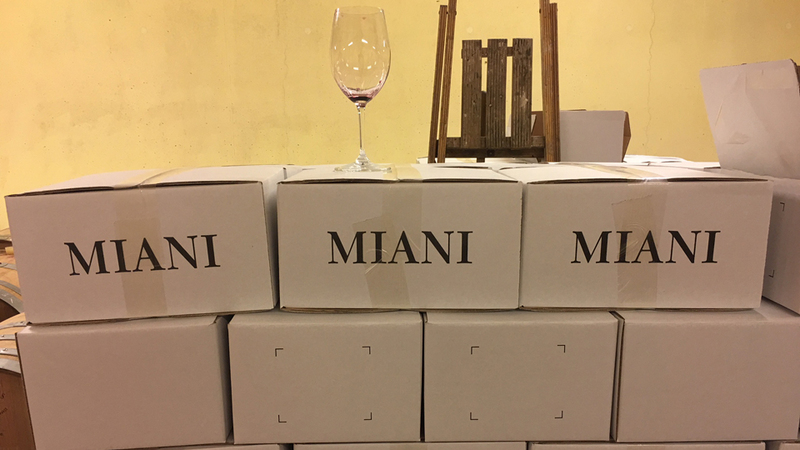 Anyone who knows what Miani is all about realizes that the magic starts in the vineyards. It is no different with the Pettarin. These Ribolla Gialla vines are anywhere from 80-100 years old, and the combination of Pontoni and old vines makes magic. Of course, it helps that the vineyard is located in the Rosazzo subzone of the Friuli Colli Orientali denomination. Rosazzo has always been one of the two true Grand Crus for Ribolla Gialla in Italy, the other being Oslavia in the Collio. Soils here are the classic ponca, a mixture of marl and sandstone that can give remarkably complex, deep and refined wines. Ribolla Gialla is a very vigorous variety characterized by small bunches and grapes with thick skins. Yields need to be drastically reduced in order to get the best results. Of course, old vines help, as they are naturally self-regulating. Soils need to have good drainage and the microclimate needs to be warm, dry and breezy (Ribolla Gialla likes heat), all of which Rosazzo has in spades. Pontoni spends virtually every moment of the day in his vineyards. During my last visit this November, Pontoni told me he hadn’t left Friuli in the last seventeen years. Listening to him, I get the feeling it actually might be just as long since he last left his home in Buttrio too. But beneath the quiet, subdued and kind face, there is a sharp, keen mind in which neurons certainly don’t lack for synaptic connections. A sign of intelligence is being able to adapt and change one’s mind and the way things are done. Years ago, Pontoni did not care too much for the native Friuli white grapes, believing that world class white wines could be achieved only with the likes of Chardonnay and Sauvignon Blanc. However, the sterling goodness of his Malvasia and Ribolla Gialla wines has since made him change his mind. 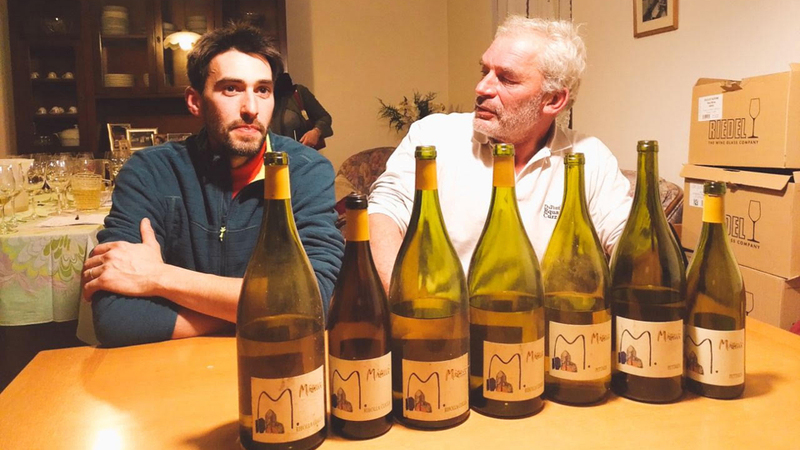 “The last few vintages especially convinced me that I was maybe underestimating these two varieties,” Pontoni told me recently. “Plus, everyone kept telling me what amazing varieties they were and so I started paying more attention to them. I think the turning point was the 2015 vintage, when I stopped using selected yeasts and turned to natural yeasts only. I think that has made the biggest difference.” Another development is that Pontoni is now using 100% new oak for the Ribolla Gialla, a recipe for disaster if the wine doesn’t have the concentration it does because Ribolla Gialla’s delicate aromas and flavors are easily overwhelmed by new oak. Pontoni harvests the Ribolla Gialla grapes fully ripe, usually in early October and presses it very gently in order to avoids all skin contact, for Ribolla Gialla’s skins are very rich in tannins. The wines are fermented in French barriques and aged on the lees, with no bâtonnage or rackings, for about eight months to a year. Pontoni’s Ribolla Gialla is a unique, world-class white wine that is lighting years better than any other Ribolla out there. It is not just a great wine, but also a teaching tool for all those willing to listen. First, it speaks of the importance of old vines, putting to shame all the self-serving mumbo jumbo of virused grapevines, too low planting densities, low productivity and poor grapevine material and rootstocks typical of old vineyards – the usual excuses dug up when estates start uprooting old vines. Second, and most importantly, Miani’s outstanding Ribolla Gialla shows that the variety can yield fantastic wines simply by treating it like every other white wine grape. 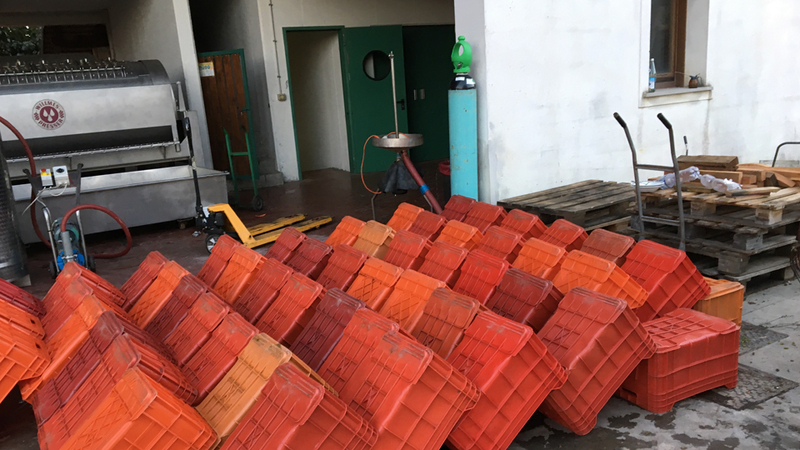 Ribolla does NOT need to be macerated on the skins for months, or aged in amphoras, and oxidized beyond redemption, turned into an orange-red wine wannabe, morphed into a Prosecco doppelganger or into a sparkling wine made by secondary fermentation in the bottle. All of which are perfectly legitimate attempts at crafting something new, if it weren’t that the sparklers aren’t that interesting and the macerated wines provide little joy to most consumers (some macerated Ribolla Giallas, like those of Gravner for example, can still be very interesting, though.) Most consumers are simply not interested in chewy white wines full of earthy and astringent notes. At least sparkling wines are a logical thing to try with the Ribolla because of the grape’s intrinsically high acidity. 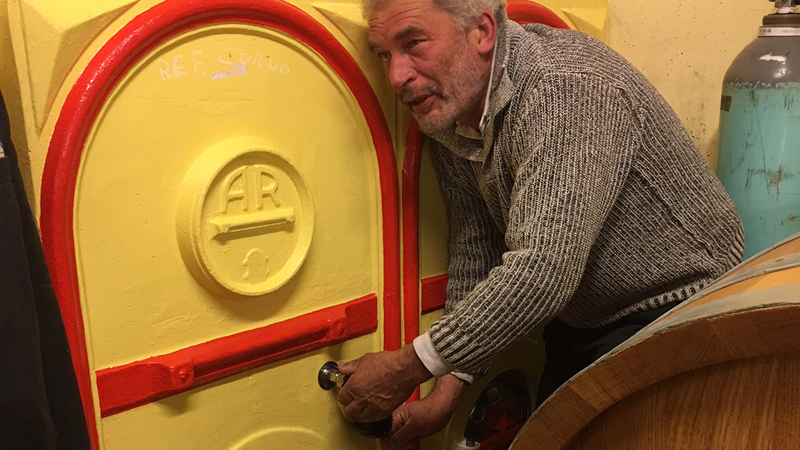 Pontoni demonstrates just how great Ribolla Gialla wines could be, when made “normally”. The grape really doesn’t need to be put through any gimmicks to show well. But of course, there is no substitute for old vines and talent. I always enjoy visiting with Pontoni and his mother, even if there were not wines to taste. Just listening carefully to everything Pontoni says (mumbles, actually) helps make me a more knowledgeable wine lover and a better wine writer. Therefore, any time I can spend with them is a treat. This time around the treat was even sweeter than usual, for I sat with Pontoni through a truly magical vertical of the Ribolla Gialla Pettarin. This Vinous exclusive is the first ever vertical of the Pettarin that Pontoni has done, and I am immensely grateful to him for having made it happen. All the wines in this tasting were sourced from Enzo Pontoni’s private cellar, except for the 2015 and the 2000 that I pulled from my own collection to help make the vertical more complete. With the exception of three vintages, all of the wines were tasted from magnum.